It’s still very early days for new manager, Nuno Espirito Santo, who took over from Paul Lambert in May this year. With this in mind, we’re trying not to get too excited about the Portuguese. But Nuno looks like a man in control; he exudes calm confidence and clearly believes in his philosophy. The boss says he doesn’t like giving interviews, but even in defeat he refuses to trot out the standard soundbites and excuses. This is an honest man full of intelligence and integrity – and there’s every reason to have faith that he will lead us to glory. 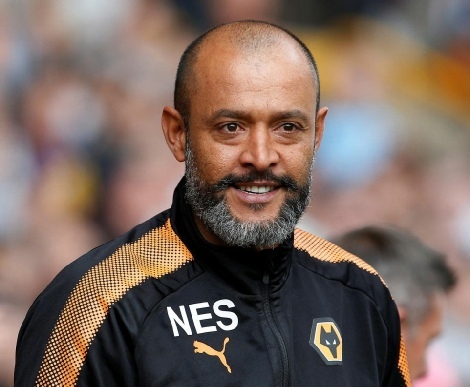 Some news articles have been asking whether Nuno and the foreign players can put up with the typically cold, wet and windy English weather. Yet this was never a problem for his countryman, the grouchy Jose Mourinho, so why would it affect cool, calm and collected Nuno? The boss also speaks great English and is obviously articulate – the players who were in the squad before his arrival have taken to his philosophy with ease! Everyone knows the Championship is hugely competitive and this season is no exception – Wolves are just two points clear of second-placed Cardiff City after 17 games. Despite this, Wolves are playing the best football in the Championship by a mile. Under the new boss, Wolves don’t stick to a specific formation. Instead, the team adapts to expose the weaknesses of whichever team they play with the sole aim of staying in control of the game. Despite a few blips, so far this dynamic system is working wonders. While we won the Championship under Mick McCarthy in 2009, we suffered in the top flight because we just didn’t have the funds to compete with the big boys. But with super-agent Jorge Mendes on our side, we bought Ruben Neves for a record fee. And the fact we now have in our ranks the most-expensive player ever to play Championship football shows we mean business. In truth, we did great business all around, with a total of 13 new players joining our squad. We’re attracting the sort of talent we couldn’t have dreamed of doing only last year. But while there have been some negative rumblings about Mendes’ influence on Wolves in the press – we’re not complaining!